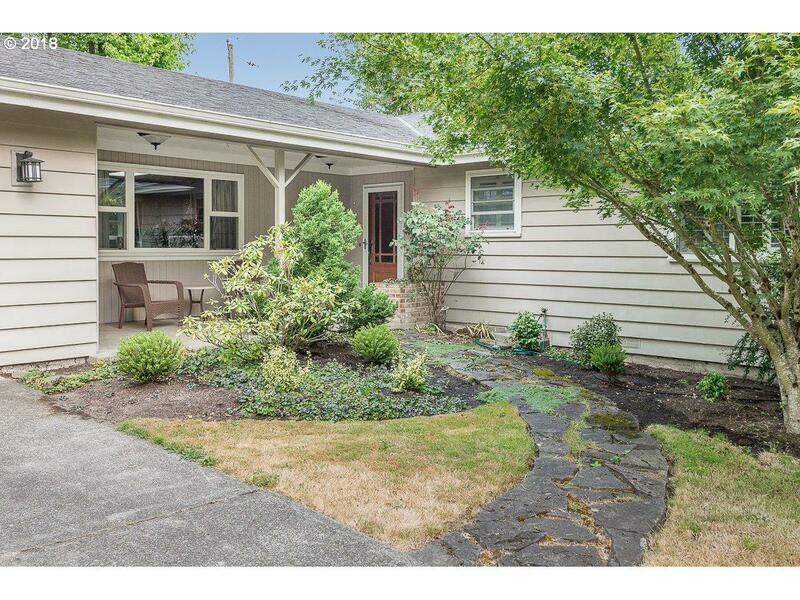 Opportunity Knocks in Coveted Lake Oswego Neighborhood! Mid Century Gem! Down the hill from million+ dollar area! True 1 level on rare large lot w/fenced yard! Open & bright, w/large living & kitchen, updated furnace, windows, bath, doors, skylights, paint & more. Beautiful hardwoods & french doors. Room to expand if you have the vision. Walk to parks, grocery, restaurants, river, & school! Incredible Value! Award winning school dist!